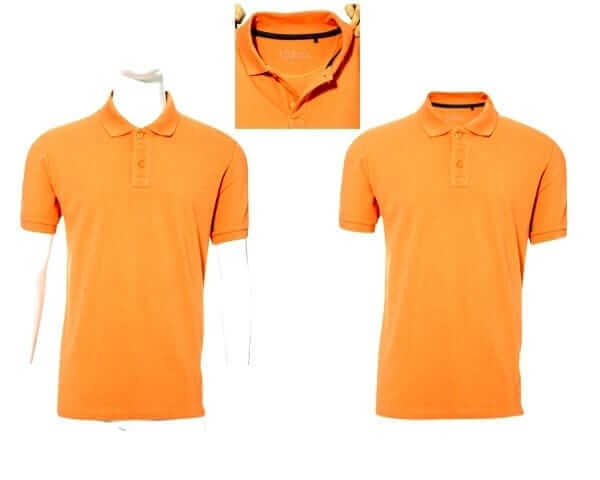 Neck Joint or Ghost Mannequin is the photo editing of garment photos where the human body or the mannequin that wears the cloth needs to be deducted, So the cloth will be the only visible element on the photo. Garment companies or garment vendors or individuals that are presenting their gallery online, definitely need this type of photo editing for their products, as they should present their stuff as more beautifully as possible to make a professional presentation and lure more customers. To achieve the proper result on this type of editing, two photos are needed, one of the cloth dressed on the mannequin or human and one photo that displays the lost part of the cloth, usually the part behind the neck. By providing these two photos, a photo editor can manipulate the photos and construct a new one, made of these two photos. The photo editing technique usually used to get the desired result consists of the use of several tools and techniques of photo editing software. Initially the cloth on the photo is needed to be isolated, meaning that its background and the body (mannequin or human) that wears the cloth will be deleted.There are several techniques that can remove these two elements like the clipping path and the background eraser tool.These techniques can provide accurate down to pixel removal results, and leave a great looking outcome without imperfection. Secondly, the photo with the lost part of the cloth behind the neck is being edited using the same techniques of clipping path and background eraser tool, so it remains only the part of the cloth we want to use.Then the outcome is copied and placed on the part of the first photo were it is missed.With accurate placement, the two photos are joint together and give the result of the whole cloth looking great, like it was never edited! The way of showing garment products for sale online can be the factor of your commercial success.Photos of clothes and products that are presented with imperfections, that include inappropriate background and the products themselves are not emphasized, will get fewer clicks from viewers, resulting in fewer sales and likely a bad reputation of the company or the vendor/individual who posts such photos.Viewing a photo triggers psychological and subconscious factors that can make the viewer click on the photo and enter into your sales mechanism and purchase, or just get a disappointing feeling and just walk away. Only think and judge by yourself the case that you are viewing to the same product photos that are posted online, and the one has an irrelevant and inappropriate background that shouldn`t even exist on the picture, or has imperfections and looks unprofessional, while the second photo emphasizes the product itself, having a crystal clear look.Which one do you believe will get clicked more and what impression a viewer will get by viewing these two photos, both for the product and the publisher of the picture? And when you are showing products online or even offline for sale, the profound essence of this is to manage to make more sales.So when posting your product photos online then you are going after winning more clicks on them, and so to bring more potential buyers into your sales system! And in our internet era, in which a business is not thinkable without the online presence, presenting inappropriate photos of products to the public audience is like shooting your feet.But providing your audience with beautiful photos that make your products look amazing, then you will increase the traffic to your listings from acquired clicks, resulting in more sales and the grow of your customer list! BravoClipping.com coming in to help you increase your sales and grow your business! We provide professional neck joint – ghost mannequin service that will give you the ability to present your garment products professionally online, by making them look amazing! Our personnel consists of highly trained experts that already have over ten years of experience, and we use the most evolved photo editing tools available today so that we can guarantee highest quality editing results.Our prices are the lowest possible and our turnaround times are the fastest possible too as we start working on your orders just right after you place them. In case that you need neck joint service for a bulk of photos, you can contact us and discuss with us your needs and get a respectful discount! And to get an even more complete idea about the quality of our service, we challenge you to take our Free Trial and judge solely by yourself!